The 2009 Tacoma overlaps Toyota’s own Tundra model. Because the Tacoma comes standard with so many conveniences and safety features, as well as fuel-efficiency figures similar to the Tundra, it seems as if Toyota is competing with itself. The affordable 2009 Toyota Tacoma is a bargain compared to its full-size competitors. 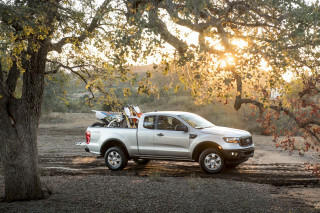 TheCarConnection.com's truck editors drove the new Tacoma in order to give you an expert opinion. TheCarConnection.com's truck enthusiasts researched available road tests on the new Tacoma to produce this conclusive review and to help you find the truth where other car reviews might differ. The Toyota Tacoma is available in a wide range of models, including Regular Cab, Access Cab, and Double Cab editions with standard or long-bed (LB) lengths, and powered by either a four- or six-cylinder engine. The Tacoma has grown from a compact truck into a mid-size and lost some of its maneuverability in the process, but the four-cylinder models retain good fuel efficiency. The standard four-cylinder Tacoma comes with a five-speed manual, which shifts smoothly but has long throws; both the four-speed automatic that’s optional with the four-cylinder and the five-speed automatic that’s standard on V-6 models are responsive. With the four-cylinder engine, the Tacoma is rated as high as 20 mpg city, 25 mpg highway. The optional 4.0-liter V-6 comes in at 236 horsepower. In the smaller models, the four-cylinder engine provides adequate performance if you don’t plan to do much towing, but it’s somewhat noisy during acceleration and not very smooth. The V-6 is a big step up; it gives the Tacoma a very torquey, smooth, and responsive character, although it’s also quite vocal. Drivers of older-model Tacomas will be surprised to learn that the mid-size proportions of the newer Tacoma do not allow it to maneuver as easily as smaller, compact Tacomas. The 2009 Toyota Tacoma handles like a truck—which is to say that the steering is good and communicative—and the ride is hard and bumpy, while the suspension hops over bumps if they come in the middle of a corner. 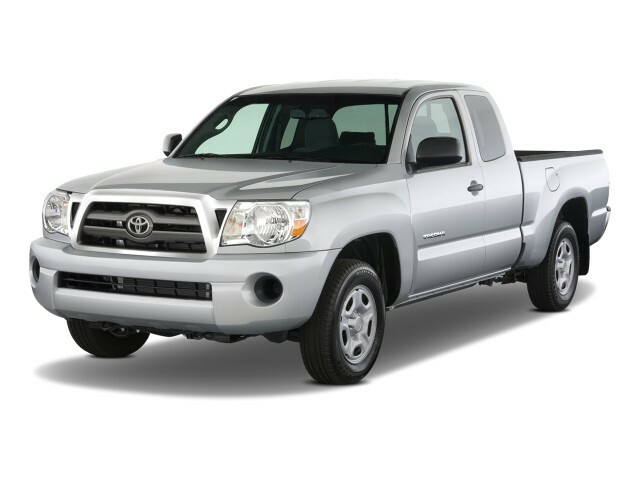 You’ll find the 2009 Toyota Tacoma nearly as useful as a full-size truck. 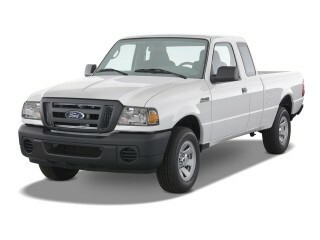 Its payload is well into the 3/4-ton category, depending on the model. The Tacoma’s cargo bed is a composite material, a sheet-molded compound purported to be more durable, and at the same time, 10 percent lighter than steel. Controls inside the 2009 Tacoma are very simple and straightforward, and though the instrument panel and interior aren’t anything special, they fit the Tacoma’s role. While the seats could use more support, the cabin itself is comfortable and roomy with plenty of space up front for any size driver and passenger. The Tacoma does very well in crash tests, with top five-star results in frontal and side tests from the federal government and top "good" ratings from the IIHS, though it gets a "marginal" rating from the IIHS in the rear-impact test. 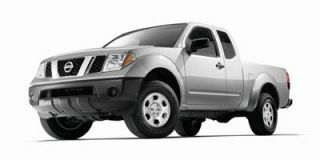 All Tacoma models in the 2009 lineup receive the STAR Safety System of dynamic control technologies as standard equipment. The system includes an anti-lock braking system (ABS), Electronic Brake-force Distribution (EBD), Brake Assist (BA), Vehicle Stability Control (VSC), and Traction Control (TRAC). Also standard on all Tacoma models for 2009 are active front headrests, front seat-mounted side airbags, and curtain side airbags, as well as an Automatic Limited-slip Differential (Auto-LSD); TRD Off-road packages are equipped with a separate locking rear differential. The 2009 Toyota Tacoma lineup includes two specialized models: the Pre-Runner and X-Runner. The Pre-Runner adds a higher-riding suspension, locking rear differential, and other appearance cues. The X-Runner gets wider wheels and tires; a lowered, sport-tuned suspension; and an X-braced frame (hence the name), along with extra interior conveniences. There’s also a TRD Off-Road Package that piles on to the Pre-Runner an off-road-tuned suspension with Bilstein shocks, fog lamps, a transfer-case skid plate, and badging. 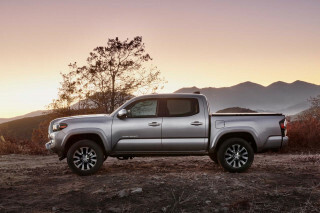 The options list on the 2009 Toyota Tacoma is expansive, with plenty of heavy-duty upgrades and appearance add-ons, but one item that many people have come to expect, a navigation system, isn’t offered. Anti-lock brakes are standard, as are variable wipers, a composite pickup bed, an AM/FM/CD player, and a tilt/telescope wheel. Tire pressure monitors, curtain airbags, and stability control are among the included safety gear on all models. The base tires are 15-inchers, while 16-inchers are available on PreRunner and 4WD models. The 2009 Toyota Tacoma blends exterior bravado with a simple, conservative interior. Car and Driver asserts that the Tacoma’s cabin contains “straightforward controls situated right where fingers are trained to find them.” Deeply recessed gauges, each with its own tunnel, alongside a rather avant-garde silver center stack, are a far cry from the generic, boxy truck interiors of yore. Said silver treatment might be a bit polarizing (Car and Driver: “it may seem dated when the industry finally tires of plastic painted like naked aluminum”), but this is mitigated by Toyota’s first-rate ergonomics, simple and sizable dials for HVAC, and high-quality switchgear throughout the cabin. From economical workhorse to gutsy, powerful, and capable off-roader, the 2009 Toyota Tacoma spans the range. The regular and Access Cab models are powered by a 2.7-liter four-cylinder that churns out a modest 159 horsepower and, more importantly, a respectable 180 pound-feet of torque. It’s a trusty, torquey workhorse of an engine, the kind Car and Driver says they'd choose “to power a backup generator for a field hospital.” But it’s not going to win any races. Edmunds.com advises, “owners planning on frequent hauling or towing will certainly want to choose the V6.” The tractable 4.0-liter V-6 is an enthusiastic motivator The Auto Channel describes as yielding a “smooth and usable broad spread of power.” ConsumerGuide praises the aural quality of the 4.0-liter V-6, particularly its “refined growl under acceleration.” The V-6 is standard in the Double Cab and optional in other models, and it produces 236 horsepower and 266 pound-feet of torque. To back up their subjective impressions, The Auto Channel posts a fleet 7.8-second run to 60 mph with their heavily optioned 4WD, long-bed Double Cab V-6. Downhill Assist Control—a feature usually reserved for luxury vehicles from manufacturers such as BMW and Range Rover—is a drivetrain option on the 2009 Tacoma. As described by Motor Trend, this feature “automatically pulses the brakes to maintain a steady five-mph speed while descending steep trails and tracks.” There's also a differential lock that’s standard on the off-road package and an available locking differential simulator on non-off-road package Tacomas (except for the X-Runner) that uses the ABS system to quash unwanted wheel spin. Official EPA numbers put the regular cab, four-cylinder five-speed manual at the top of Tacoma efficiency with 20 mpg in the city and 25 mpg on the highway. Interestingly, the six-speed manual V-6 combo nets the lowest efficiency, with a 15/18 mpg, city/highway rating in 4X4 guise. The five-speed automatic V-6 combo splits the difference, with a city/highway rating of 16/20 mpg with both two- and four-wheel drive. 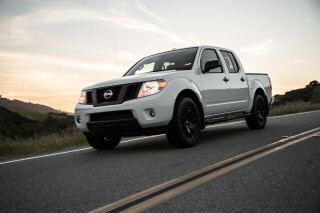 Lead-footed Car and Driver editors average 18 mpg over 3,964 miles of Alaskan terrain. The 2009 Toyota Tacoma is characterized by a rather noisy cabin and truck-like drivability, countered with a roomy interior and thoughtful details. 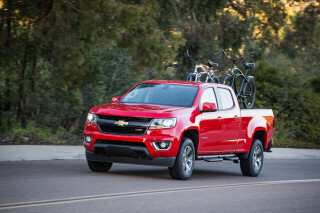 ConsumerGuide criticizes the Access Cab body style as having “very little room even with the front seats well forward,” and further complain, in the Access Cab body style, “the rear bench has a low cushion and bolt-upright seatback, so even those who fit will grumble.” Edmunds calls the Tacoma’s interior “a spacious cab with Camry-like comfort and ambience.” Interior room isn’t at a premium in the large 2009 Toyota Tacoma, but the rear seat in the Access Cab draws its share of complaints from reviewers around the Web. The 2009 Toyota Tacoma ups the ante with a host of active and passive safety features. 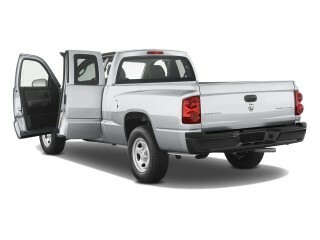 With many safety features standard and stability control an option, the 2009 Toyota Tacoma scores well on safety tests. In the National Highway Traffic Safety Administration (NHTSA) crash tests, the 2009 Tacoma scores five stars for driver and passenger side frontal impact, as well as five stars for both front and rear occupants in side impacts. In rollover resistance, it manages a rating of four stars. In the Insurance Institute for Highway Safety (IIHS) frontal offset tests, the Tacoma scores that agency’s top “good” rating. Tacomas with bucket seats manage a “marginal” for rear crash protection, a comment on headrest design and whiplash protection. The 2009 Toyota Tacoma has a thorough list of useful, well-designed, and thoughtfully executed features. TRD, or Toyota Racing Development, supercharger includes an intercooler and may be purchased and installed at the dealership. It boosts the horsepower of the V-6 from 236 to 304. The Off-Road Rugged Trail Package includes a locking rear diff, 16-inch Baja wheels, additional skid plating, black overfenders, and Bilstein shocks. Cars.com reports “well-heeled Tacomas include a JBL premium stereo with a six-CD changer, power windows, remote entry and a leather-wrapped steering wheel with integrated audio controls.” That highest-level JBL/satellite option includes a free three-month subscription to XM radio and Bluetooth compatibility. 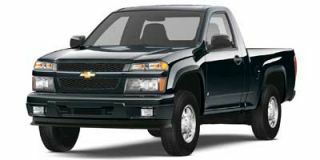 But proving that, indeed, this truck was new in 2005, no nav system is offered, an omission that may well hurt the Tacoma when judged side-by-side with car-based rivals such as Honda’s Ridgeline. Other accessories include a bed divider, bed net, cargo crossbars, Yakima roof rack, bike rack, running boards, flip-out bed extender, SnugTop Super Sport hard shell, and a rubber bed mat. bought this truck to replace an older Mazda B3000.no comparison,the Toyota runs and shifts so much better.nice fit and finish.wasn't sure about the 4 cyl. with the 4x4,but so far no complaints.Cruises nice at... bought this truck to replace an older Mazda B3000.no comparison,the Toyota runs and shifts so much better.nice fit and finish.wasn't sure about the 4 cyl. with the 4x4,but so far no complaints.Cruises nice at highway speeds and handled the few feet of snow we had in the Northeast last year.